How many times have you deleted an important file by accident? Have your PSD files got deleted? When you realized that the deletion was a mistake, you were already unable to recover the PSD file, as the Recycle Bin had been emptied. If a recent backup copy is not available, will you be in a difficult situation that you lose all valuable files for good? Of course, no. PSD file format is the major format generated by Adobe Photoshop which can edit and glamorize photos and pictures. Some commonly used operations of Photoshop are color spaces, layers with masks, text, transparency, spot colors, and alpha channels. PSD files can be opened and edited by Photoshop and then saved as various file formats like JPEG, GIF, EPS, PNG, etc. When your PSD file get deleted or formatted, you are no longer able to access your project. But you still have chance to get it back from all kinds of file loss situations. Formatting of hard drive, memory card, USB flash drive, etc. Any of the causes above can lead to PSD files loss, thus it is very necessary to learn how to perform PSD file recovery. How to recover lost Adobe Photoshop files? Check Recycle Bin first if lost PSD files are deleted. You have chance to restore deleted files before Recycle Bin gets emptied. Also, you can restore lost files from backup file. 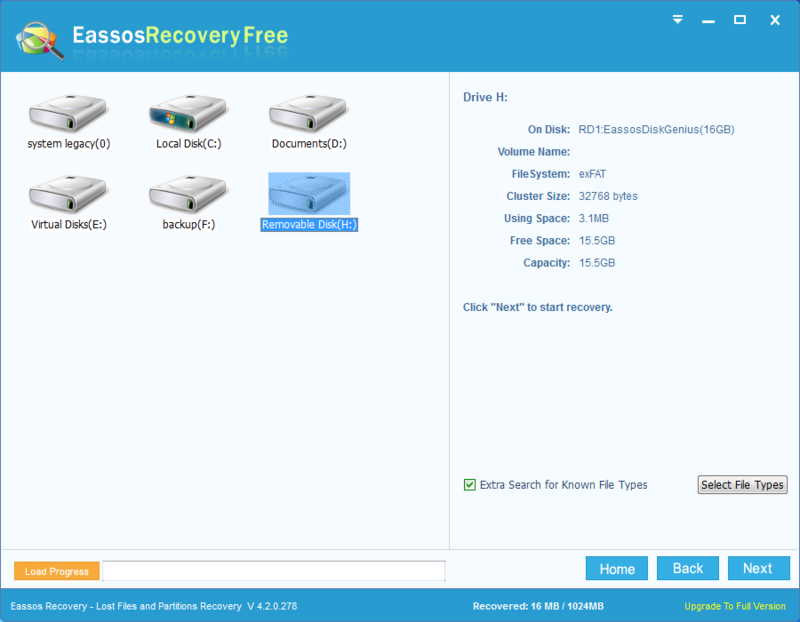 If these two solutions don’t work, then you need to try the third method – free file recovery software. 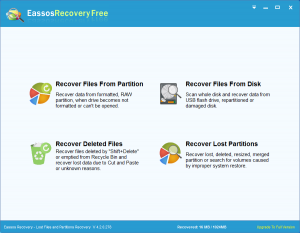 Step 1: Download and install Eassos Recovery to the partition that doesn’t need PSD file recovery. 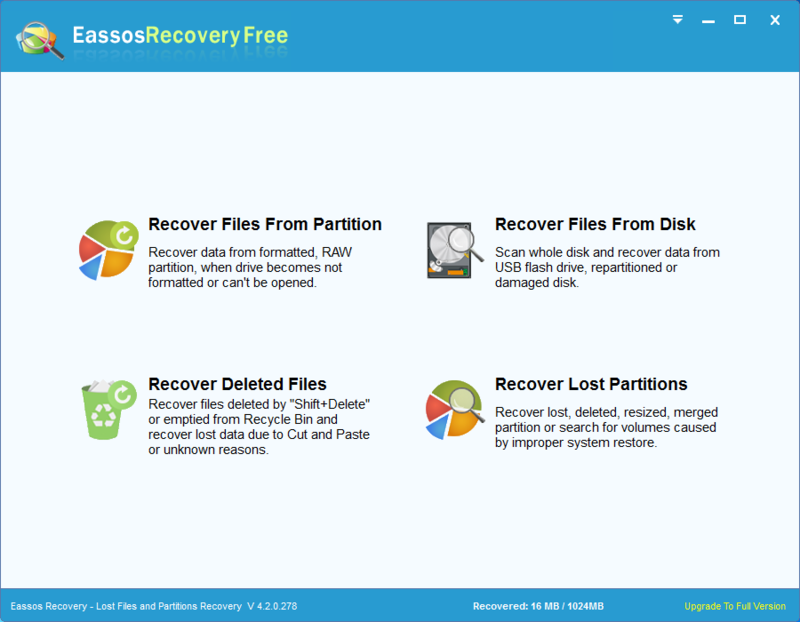 Step 2: Start this recovery software and select correct recovery mode, e.g. 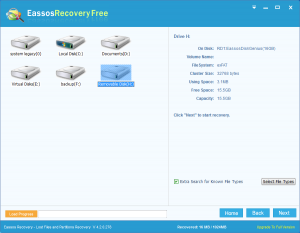 the third recovery module is designed for deleted PSD file recovery. Click “Next” button to scan missing PSD files. The scanning of deleted files is quite fast. Step 3: After file scanning, you can view PSD files from the recovery software. Then select and save wanted files to a safe location. Here the safe location means a partition or drive which is in good status and doesn’t need to recover files. This entry was posted in Data Recovery and tagged file recovery software, photoshop recovery, psd file recovery by EASSOS. Bookmark the permalink.